OKAY, so even if this is a YA (once in a while NA) review blog, how could I pass up Richelle Mead? So I decided to finally start my first adult read. And it was...a bit disappointing. I guess I finally realized jsut how big the difference between YA and Adult is! Richelle Mead is always great with characterization and this time was no exception. They were all flawed characters who were still likeable, to a point, though it did take some time to get to know them. Though I do have to admit, Mae is a lot better than Justin in my eyes. I think that's mainly since she was so kickbutt! I liked the dystopian world in this story and it was captivating from the first description. Everything fit together and every question I had about the world was eventually explained. 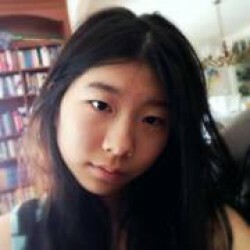 It was a creative concept that I enjoyed reading about and one that's definitely pure Richelle. It was such a complex world! I didn't really enjoy the alternating POVs, though. It was random and often confused me. and I mean often. I'm not really a fan of alternate POVs, though, so that may make me a bit biased! Each section did advance the plot though and I did enjoy, at times, seeing the story from a different character's view. 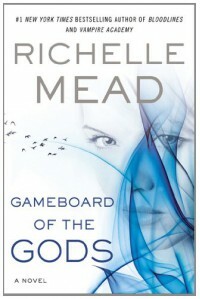 Fans of Richelle Mead's work are sure to like this one (if they generally read adult, that is!). It brings a new idea to the table and a story that's pure genius. People who usually avoid dystopian should definitely try this one since I'm pretty sure it'll coax a great reaction out of readers!